Add illumination to displays and projects with LED Moon Lights. Accent a small floral arrangement, decorate for a holiday, and more with these versatile LED light strands. 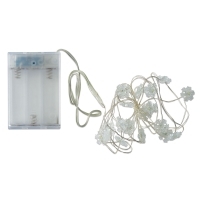 Each 6½ ft (2 m) strand features 20 bright white LED lights on a silver-plated copper wire. Automatic timer. 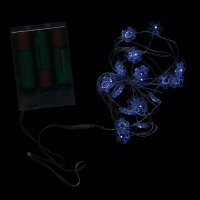 These holiday-inspired strands include 20 translucent lights on 6.56 ft plated copper wires. The lights are rated to last 25,000 hours. The lights are rated to last 25,000 hours. No timer. Choose Hearts or Snowflakes.